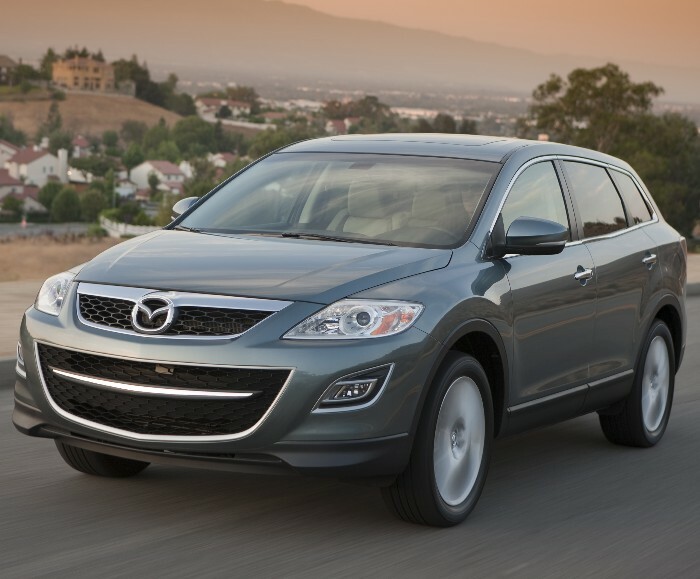 Mazda’s CX-9 is one of the automakers most award-winning vehicles, garnering North American Truck of the Year and the Motor Trend Sport Utility of the Year, amongst others. Closely related to the Ford Edge and Lincoln MKX, CX-9 adds a child-only third row to the platform for a more competitive “edge” in what is one of the hottest segments in the marketplace. 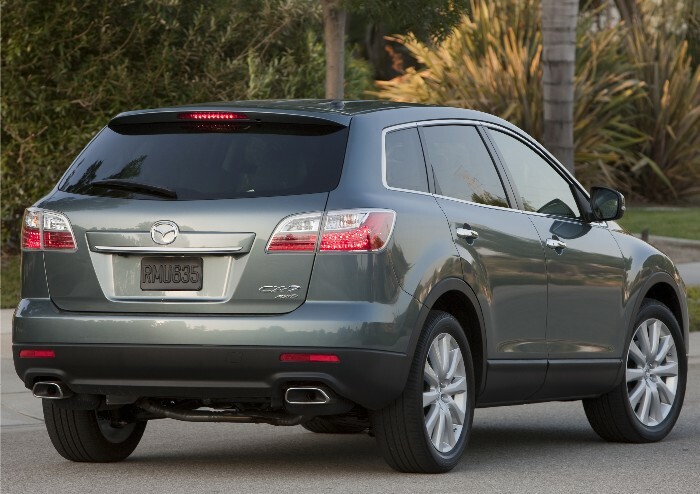 An instant success when it first hit the market in 2007, the CX-9 raised the bar for three-row crossover SUVs. From its dynamic styling and safety to versatility and performance, Mazda’s flagship crossover SUV continues to wow customers and automotive critics alike (including yours truly). Mazda used targets of the Honda Pilot and Volkswagen Touareg as they set out to develop a functional yet emotional CUV that comes in under the luxury segment. 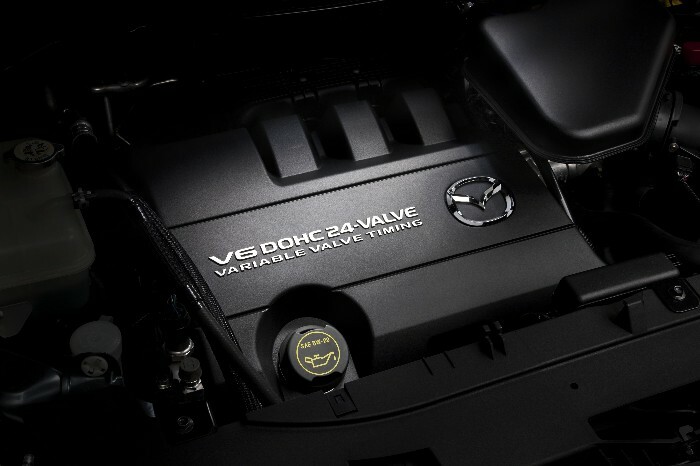 What they deliver is a unibody chassis offered in front- and all-wheel-drive that is powered by Ford’s new global 3.7-liter V-6 engine but backed by a model-exclusive Aisin six-speed Sport AT automatic transmission, and Mazda also uses a different AWD system than its domestic siblings. The Active Torque Split AWD system employed in the CX-9 is a derivative of the system used in the smaller CX-7 CUV. It is always active and can achieve up to a 50/50 torque split front to rear when sensors dictate. While our recent 2011 tester arrived in FWD format, we found the AWD setup to be quite transparent in operation during a day of ambitious driving in the hills north of LA at the model launch a few years back. We knew we were pushing the CX-9 pretty hard but never felt we had reached the limits of what we could throw at the vehicle (save for our bags sliding around the back seat area). Drivers and occupants can take comfort in the fact that the big Mazda offers one of the most complete lineups of safety technology on the road today, including Roll Stability Control, Dynamic Stability Control, traction control, ABS and electronic brakeforce distribution as well as a host of front, side and side curtain airbags. On a recent roadtrip we found the new Blind Spot Monitoring system to be quite the little helper. Notification that a vehicle is in the driver’s blind spot is made first by lighted signals in the outside rearview mirrors and then with a chime if you should activate a turn signal in that direction. Mazda aimed for a “fun to drive, family-capable” target with the new CX-9 and they have hit the bullseye with this one. CX-9 is offered in Sport, Touring and Grand Touring trim levels with up to 20-inch wheels and tires available. Fuel economy is rated at 17/24mpg for FWD models and 16/22mpg for AWD versions. Pricing begins at $29,135 for a base FWD Sport model and $34,535 for AWD Grand Tourers. Our tester arrived in FWD Grand Tourer trim with a final sticker of $38,510 that included a great-sounding Bose Centerpoint audio system and a navigation system with real time traffic that really works. The vehicle is extremely quiet and well mannered on the road. About the only vibration we detected was from the tires and road surfaces. The only criticism I really have of the vehicle is the heft of the center console that takes away from the driver’s lateral knee room a bit. 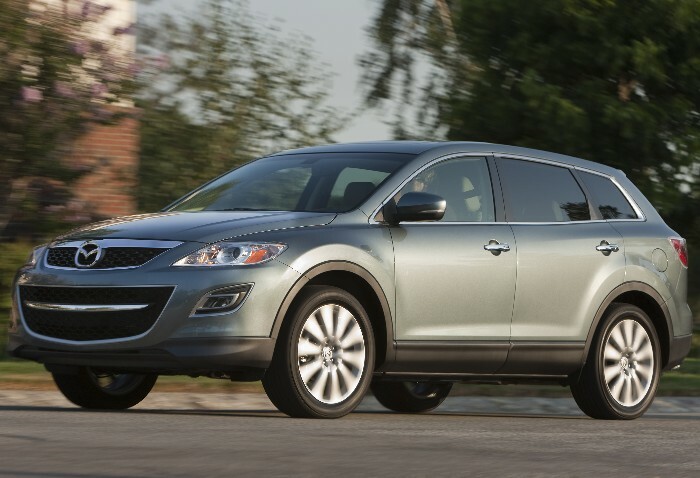 The Mazda CX-9 continues to be the winner it started out as – first impressions were right. Next Next post: Texas Taxing Trucks?